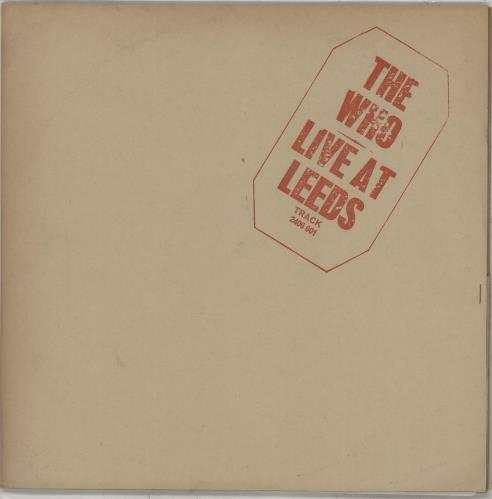 THE WHO Live At Leeds (Archive Quality 1970 UK 6-track live LP in gatefold card 'bootleg' style sleeve with red text on the front, complete with all twelve inserts including the poster, photographs, repro band letters, receipts & lyrics. The sleeve is Near Mint [one tiny faint spot of foxing], the poster is unused & the inserts are barely touched. The staples are as shiny as you like & the vinyl is stunning near 'as new'. 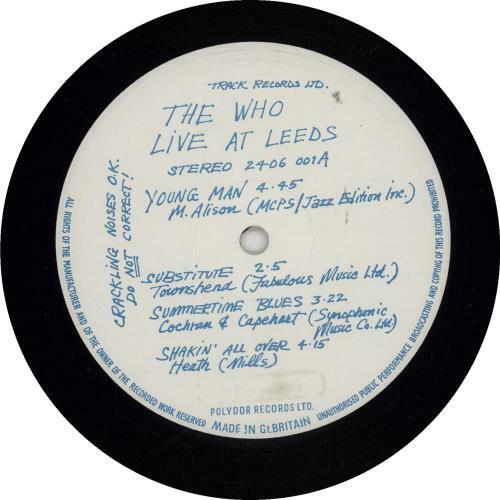 Heavy vibes from The Who, playing Led Zep at their own game, this is the best example we have ever seen! ).